This article originally appeared in Information Update, the Weinberg Memorial Library's newsletter. That may be true, but there are ways of ensuring that it is not forgotten. During the 2018 spring semester, The University of Scranton’s McDade Center for the Literary and Performing Arts celebrated its 25th anniversary. In preparation for this event, items related to the University Players — who have been in residence at the McDade Center since 1993 — were recently digitized and added to the Weinberg Memorial Library’s Digital Collections. The history of the University Players — from their beginnings as the St. Thomas College Dramatic Club in the 1890s through the historic involvements of theater greats such as Glenda Jackson and Sir Richard Harris in the 1980s — had already been an online presence in the form of photos, programs, newspaper articles and yearbook pages previously digitized by the University Archives. Much of the more recent materials, however, were maintained only in physical format by the Department of English and Theatre. In February 2018, Hank Willenbrink, Theatre Program director, began preliminary discussions with the Library’s Digital Services department about digitally preserving and increasing access to these later materials. The items were then loaned to the Library, and digitization was soon begun on 1,921 images (slides, prints and negatives) ranging from the years 1993 to 2005. These 36 gigabytes of information included photos of various rehearsals, students and staff working in the costume and scene shops, as well as onstage performance stills. These stills, in particular, capture the great diversity of material performed over the years, as well as the often striking, professional-caliber production designs. In addition, the process involved the accessioning of digitized documents (programs and season cards) and born digital photos of productions after 2005. The full project was completed in April 2018. 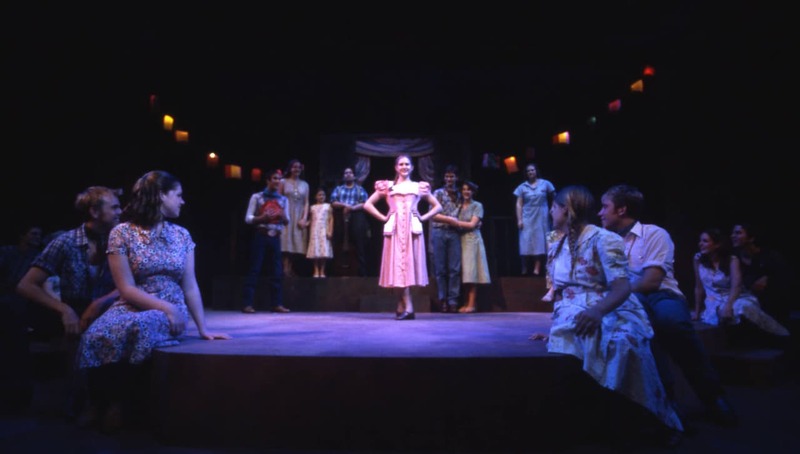 In conjunction with the digitization, an online University of Scranton Players timeline was also created, allowing the user to scroll through information from all productions ranging from 1896’s Maurice, the Woodcutter through 2018’s The 25th Putnam County Spelling Bee. All of the information can be found at scranton.edu/library/digitalcollections, although some items are restricted to oncampus users only due to copyright status. This project will hopefully give the University community as well as the public a richer understanding and appreciation for the important role that the University Players and the Theatre Program have played on campus, and the ways that they continue to challenge and enrich the arts in Northeastern Pennsylvania. Read more from Information Update, here.